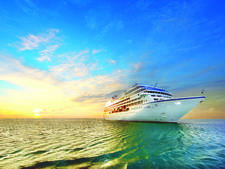 Accommodating 1,250 passengers, Riviera is the newest ship in Oceania Cruises' fleet, which is made up of mostly older but beautifully refurbished and maintained vessels. (Riviera, launched in 2012, and twin Marina, launched in 2011, are the exceptions, purposefully built for the line.) 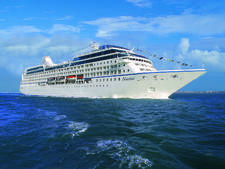 Riviera, while not all-inclusive, provides an upscale cruise into ports that are difficult for larger cruise ships to reach. The ship includes a wide range of cabins, which all feel luxurious thanks to premium fabrics and materials such as Italian marble. It's impossible to talk about Riviera without mentioning food. That's because dining and cuisine are deeply entwined with the ship and its programming. Cuisine is an art form onboard, with attention given to even the smallest details, from idea to execution. Menus are vast and balanced; even people who don't think of themselves as foodies will be happy with the selection. Oceania smartly leverages partnerships and branding with the likes of Jacques Pepin and Wine Spectator to ensure tours and enrichment include cuisine as well. This is evident at Riviera's Culinary Center, at meals at La Reserve (a wine-pairing dinner) and in ports as passengers try out the line's unique Culinary Destination Tours. Everyone associated with the ship understands the importance food plays in the overall experience and treats dining with reverence. That's not to say Riviera is only about food. Its cabins are beautifully designed yet feel comfortable and sensible at the same time. The top-tier suites can only be described as opulent, with marble detailing and lush fabrics practically everywhere. Art onboard makes a statement, and we found ourselves pausing to take in the big, bold pieces, from the marble or metal sculptures that sit on the stair landings to the large, mostly modern or abstract canvases that line the walls in all the public spaces. Riviera hosts an artist in residence who not only teaches passengers new art skills but also displays -- and sells -- his works. 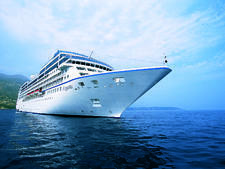 The ship visits new ports almost every day, so the schedule onboard is designed to accommodate early mornings. Consequently, the pace is a bit slow at night, and entertainment is mostly adequate, with a few moments of great. Working around busy port schedules also means passengers might have to sacrifice entertainment or enrichment options for the sake of dining; only one show is offered at night, and dining times often conflict with those, so passengers have to make decisions that might leave them feeling like they missed out. Service, for the most part, is excellent. Crew members are professional and polite, and they know their product and customers thoroughly. The notable exception is poolside, where there don't seem to be enough cocktail servers to keep up with passenger demand. Passengers on Riviera are older -- expect most to fall into the 65-plus category, though the age skews younger when itineraries are shorter. Most of them are American, with Canadians, Brits and Australians rounding out the mix, but passengers from many other countries often sail. You'll also find a few families onboard during the summer and around the holidays, when kids are free from the shackles of school. Cruise Critic’s professional photographers and our extraordinary community members have taken 1,368 pictures of Oceania Riviera. When you visit our photo galleries, you can be assured that what you see is what you get. At night, the dress code is similar to what you'd find at a country club or resort on land. Men wear dress pants or khakis and button-down or collared shirts, while women might wear dresses or blouses with skirts, capris or dress pants. Jeans, T-shirts and tennis shoes are expressly prohibited in public venues after 6 p.m. Riviera doesn't have a formal night, so glitzy dresses or jackets and ties aren't required, though some passengers do dress for dinner, especially in the specialty venues. 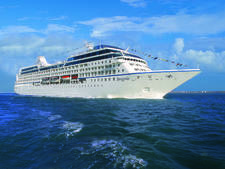 A cruise on Riviera includes dining at all specialty restaurants (except La Reserve), which means passengers can dine fee-free at excellent options such as Asian restaurant Red Ginger and French venue Jacques. For passengers staying in Concierge Level cabins or higher, varying amounts of Wi-Fi are included, generally for one device per cabin, which is a nice perk but cumbersome in an age when passengers travel with multiple devices. Those staying in Concierge Level Staterooms and Penthouse Suites receive 200 and 500 minutes (or the equivalent data amount), depending on the cruise length. Passengers staying in Owner's, Vista and Oceania Suites get unlimited Wi-Fi for one device. Shore excursions aren't included, but passengers can purchase excursion packages that provide pretty solid savings for those booking all their excursions through the ship. 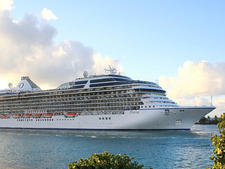 Gratuities are not included, and the ship recommends passengers tip $16 per person, per day. Those staying in suites that include butler service are encouraged to tip $23 per person, per day. Passengers can pay gratuities in cash or by credit card; they will be added to onboard accounts automatically, though they can be removed or adjusted up or down. An 18-percent gratuity is added to spa services, dinner at La Reserve and all beverage purchases. Room service is included, but tips are not: Plan to tip a couple of dollars if you order. The U.S. dollar is the currency onboard.